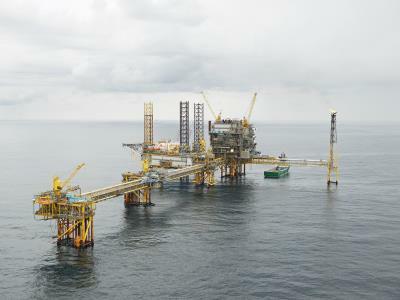 Maersk Oil has announced it will shut Denmark’s largest gas field. Maersk Oil said in a release today that “an economically viable solution for full recovery of the remaining resources in the Tyra field has not yet been identified, and that production from the Tyra field is consequently expected to cease 1 October 2018”. Tyra has since 1984 been the main hub for gas production and processing in the Danish North Sea. Despite more than DKK1bn spent on reinforcing the Tyra structures over the past 15 years, Maersk Oil said the facilities cannot safely continue production due to new knowledge on storm wave impacts, combined with subsidence of the underground chalk reservoir which reduces the gap between the platforms and the sea. More than 90% of Denmark’s gas production is processed through the Tyra facilities. The Tyra field is operated by Maersk Oil on behalf of the DUC, a partnership between A.P. Moller – Maersk (31.2%), Shell (36.8%), Nordsøfonden (20%) and Chevron (12.0%). Anyone who has tried to puzzle out the cash flows in AP Moller-Maersk over the past thirty years will be drawing their own conclusions about Soren Skou’s recent statements.